HS2 has completed 2 major demolition projects at Euston as work continues to deliver extra capacity and improve journeys for the 44 million passengers who use the station every year. The clearance of the buildings to the west of the station reveal, for the first time, the full scale of the new platforms and concourse that will built as part of Britain’s new high speed rail project. Once complete, HS2 will more than double the number of seats out of Euston during peak hours, with the first 6 new 400 metre platforms built adjacent to the existing station to reduce disruption to passengers during construction. The 6 month demolition of the former Ibis hotel on Cardington Street, was completed this week. The painstaking demolition of the 5 storey, 380 room building, involved the removal of almost 9,000 tonnes of material with 95% set to be recycled or reused on site. The clearance of the nearby disused National Temperance Hospital buildings was delivered in 2 stages, with the second half, the Insull wing, now also complete. More than 6,000 tonnes of material were removed during the project with 95% set to be recycled or reused. Two time capsules, discovered during the work, are being conserved by HS2’s archaeological sub-contractors and will be kept for future study and display in the community. The hospital, which closed in 1990, was the first institution to end the routine use of alcohol in medicine. HS2 will transform Euston, delivering much-needed extra capacity, improving journeys and unlocking the opportunity for thousands of new jobs and homes. Across the capital we are making strong progress, with our pioneering archaeological programme in full swing and more than two thirds of demolitions now complete. I’d like to thank all those involved in helping us hit this latest milestone and I look forward to the next steps in delivering HS2’s new gateway to the capital. 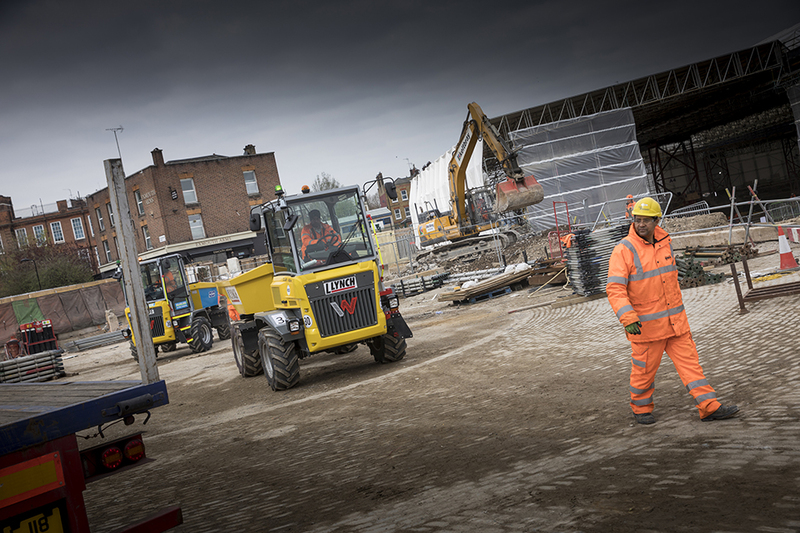 Costain and Skanska’s HS2 teams are making significant progress across London and we are pleased to confirm the successful completion of these 2 key building demolitions. 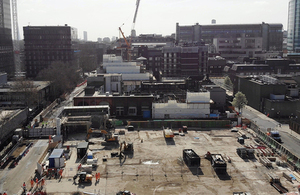 We currently have more than a thousand people on site in the Euston area, working on a further 25 projects, most of which will be completed this year.